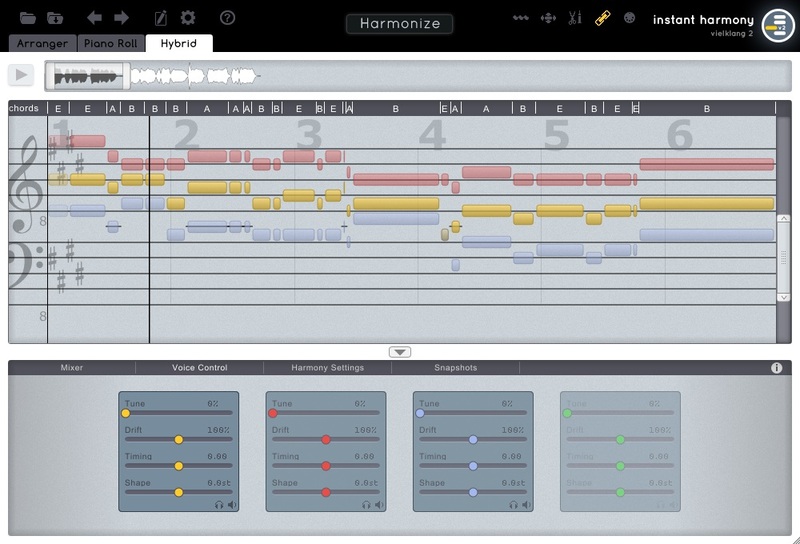 vielklang is a plug-in instrument for instant audio harmonization. vielklang generates up to four voices from a single-voiced audio input. The progression of each individual voice is controlled by sophisticated harmony progression and voice leading models, resulting in musically meaningful harmonization without any configuration effort. Instant 4-voice harmonization of any single-voiced audio input. Integrated voice leading and harmony progression models, resulting in entirely natural-sounding automatic harmonization. One-click modification of key scales and harmonies. High quality, formant preserving, flexible pitch shifting. Audio-to-MIDI functionality for all voices. Check out here for vielklang tutorials.